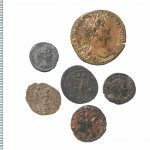 Apart from a rare bronze medallion, 105 Roman coins were recovered from the excavation at Liverpool Street. The majority are copper alloy, with seven in silver and a small number silver-plated. 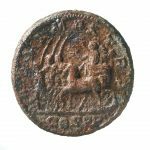 The earliest coins found date to around the time of the conquest of Britain in AD 43 and are of the Emperor Claudius I (AD 43-54). The latest coins belong to the 4th century, dating to AD 330 to 348. 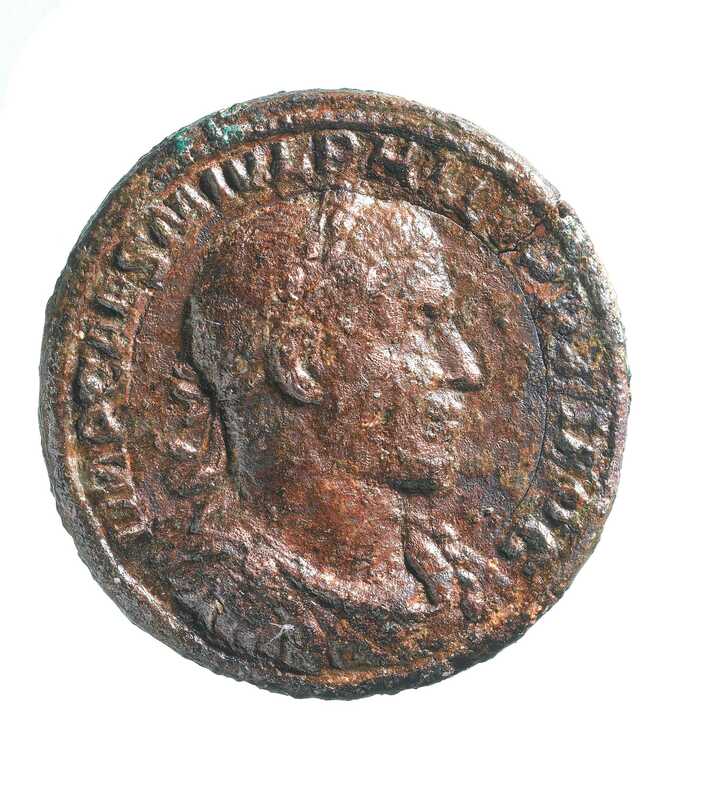 If a coin is in good condition it is possible to identify not only who the emperor is and therefore what date it is but also where it was minted. 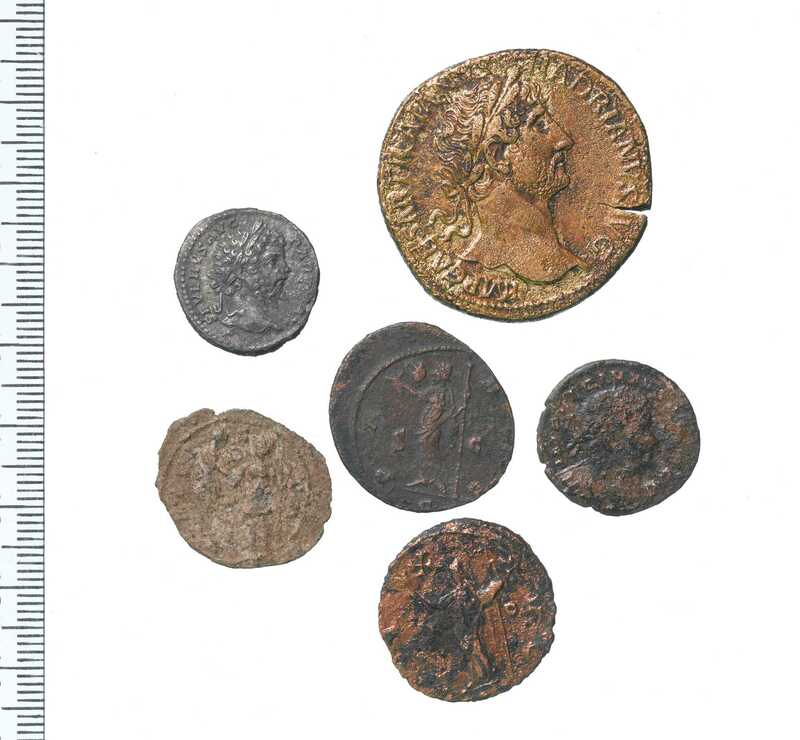 Most early Roman coins were minted in Rome but from the 3rd century on other mints became common too. There was a mint in Londinium from about AD 286 until AD 326. 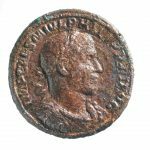 The Roman coins from Liverpool Street come from as far away as Antioch (in modern Turkey), from Rome and from the London mint. 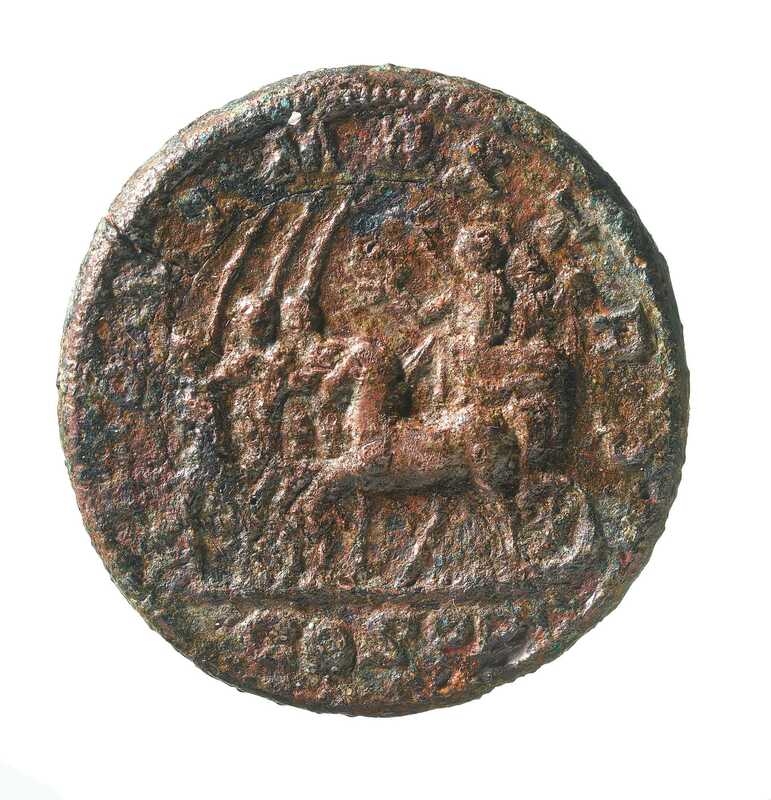 This very rare bronze medallion, of Emperor Phillip I (Arabicus), was found during the excavations at Liverpool Street. It was issued to mark the New Year celebrations in AD 245 and is only the second example ever found. It would have been presented by the emperor to important government or military officials.